By Shane_McGlaun on 11/02/07 • Leave a comment! For all the gamer girls out there, the In Win Allure is for you. 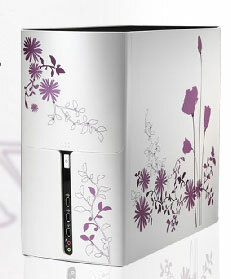 The Allure is a PC case that has a pearly, metallic white paint job inlaid with a pink SWARVOSKI crystal floral motif. In Win says this case is a sign of your love for a special person. I guess the hope is this case will be gifted for the holidays to the female gamer/computer user. The case is certainly pretty and is a mid tower design that can hold Micro-ATX mainboards only. Several drive bays are available on the case with two external 5.25-inch bays, two external 3.5-inch bays, and two internal 3.5-inch bays. Front ports include a pair of USB ports, a IEEE 1394 (FireWire) port, and HD audio port. Four expansion slots are on the rear of the case and it uses a standard PSII size power supply. Overall dimensions are 14.5-inches H x 7.5-inches W x 18.5-inches D.
Wal-Mart is trying to start the holiday shopping season off with a pre-black Friday, black Friday sale. This Friday November 2, Wal-Mart has what is likely going to be the best deal of the holiday season on a HD DVD player. Wal-Mart is offering the Toshiba HD-A2 HD DVD player for a mere $98.87. The only real bad part about this particular HD DVD player is that it can’t do 1080p. Supported resolutions are 720p and 1080i. Still, that is much better than a standard DVD player’s picture quality. If you have been waiting to jump and the HD bandwagon and trying to choose between Blu-ray and HD DVD, Wal-Mart is making HD DVD look pretty good. The MSRP for the HD-A2 player is $299.99. The caveat with the super low Wal-Mart price is while supplies last. You also never know how many players the store will have in stock. If you want one of these, you had better get there early, the sale starts at 8 am but I am betting there are some serious lines starting in the wee hours of the morning. By Shane_McGlaun on 11/01/07 • Leave a comment! AT&T Announced that starting today the MOTO Q Global smart device will be available exclusively with AT&T. The MOTO Q global is the first MOTO Q device sold in the U.S. with global capabilities. The phone features a full built-in QWERTY keyboard and offers download speeds of up to 3.6Mbps via AT&T’s high-speed UMTS/HSDPA BroadbandConnect network. 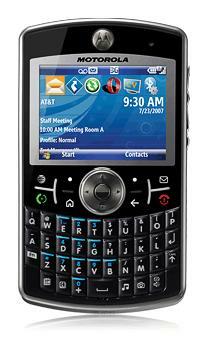 The device runs on Windows Mobile 6, has built-in GPS, Opera browser, a 2MP camera with flash and other Office applications for creating and editing documents. AT&T says the MOTO Q Global will be available today for a special introductory price of $199.99 with commitment. The unlimited data plan needed to get the most from the phone costs $44.99 a month with a voice contract. Western Digital rolled out its latest 2.5-inch notebook hard drive today that will also see duty in small form factor external storage devices. The 320GB drive uses the SATA 3.0GB/s interface and has a transfer rate of 850Mbits/s maximum. 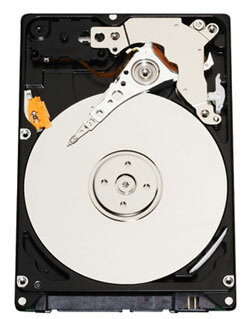 The Scorpio 320GB drive has a 5400-rpm spindle speed and an average read seek time of 12 ms. The buffer size is 8 MB and average latency is 4.20 ms. The small drive has a profile only 9.5mm thick so it should lend itself well to use in small USB drives. WD also uses proprietary technology to make the drive quiet, it produces only 26dBA in seek mode. Teh MSRP for the 320Gb drive is $199.99. Bang & Olufsen, the purveyor of high priced audio products, announced its latest MP3 player today called the BeoSound 6. I guess the 6 in the product name refers to the price, which is a cool $600. What do you get for that much coin? Bang & Olufsen provides a “premium” leather case with the player and says it has enough memory to store 1000 songs, though the exact amount of storage isn’t specified. 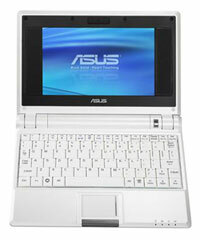 The LCD is a 128 x 160 pixel unit that lacks video display capability. The battery life sounds good at a claimed 40 hours. The player is encased in stainless steel and uses a black soft-touch lacquered surface and black scratch-resistant glass. 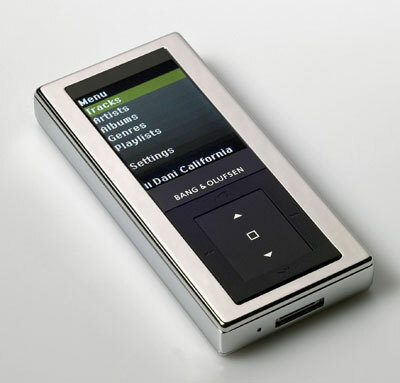 All I know is that it had better sound good since you can get a really cool MP3 player that does video like the iPod touch for much less money. By Shane_McGlaun on 10/26/07 • Leave a comment! Today SanDisk announced the availability of its new 8GB microSDHC card worldwide. The 8GB M2 card is also available today worldwide. SanDisk says that the 8GB cards can store up to 2000 songs, around 5000 photos, or up to 5-hours of high-quality MPEG4 video. To launch the new cards SanDisk is having an exclusive event tonight on the Sun Set Strip in Los Angeles, California that will use three of the most famous nightclubs in California at the same time. The clubs include the Key Club, The Roxy Theater, and the Viper Room. Performances from Linkin Park, Common, The Crystal Method, Cut Chemist and Z-Trip will be seen. Invited guests will capture the party on their mobile phones, no doubt using the 8GB memory cards. The 8GB microSDHC card will sell for $139.99 and the 8GB M2 card will retail for $149.99. By Shane_McGlaun on 10/25/07 • Leave a comment! I am a big Sci Fi fan and one of my favorite TV shows of all time is Battlestar Galactica on the Sci Fi Channel. I was really bummed when I heard this was the last BSG season, almost as bummed as I was when I was a kid and the original series was cancelled. Today Sierra Online and the Universal Pictures Digital Platforms Group released a Battlestar Galactica space combat game based on the TV series from the Sci Fi Channel. The game is available for both PC and on Xbox LIVE Arcade. The game supports up to 16 players on PC and up to 8 players on Xbox. A single player game is also included. Players can choose to play as a Cylon or as a human and players can also choose different ships and 10 missions from the TV series for the single player game. Four human ships and four Cylon ships including the Viper II and the Cylon Raider are available to pilot. 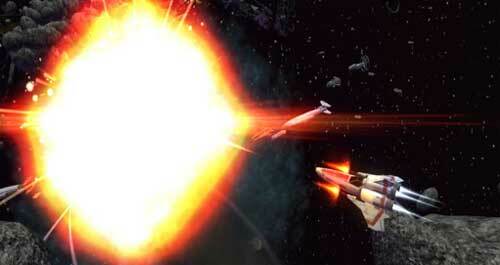 Battlestar Galactica is rated E 10+ by the ESRB and will be available at retail outlets and by download for $19.99.